Copyediting is bringing the Freelance Accelerator workshop to Durham, NC, on Wednesday, April 19, 2017. 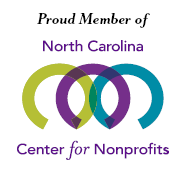 In partnership with the NC Newsroom Cooperative a $50 discount is offered to cooperative members! Give your freelance career a rocket boost with a whole day of intensive, interactive training on working as a freelancer, including creating a business structure, marketing, networking, finding and keeping clients, running the business, setting up a home office, setting rates, filing and bookkeeping, and more. Space is limited! Sign up now to reserve your spot in this powerful workshop that will help you grow your business. This is an IN-PERSON workshop, and it will not be recorded. We expect it to sell out and even have a waitlist. Register now so you don’t miss out! Make 2017 the year your business dreams come true. How much: $250 per person; Newsroom Coop members get $50 off! What you get: The full workshop, the printed course book to keep, beverages and lunch, and one free recorded audio conference from Copyediting! Your instructor: Laura Poole is a co-owner of Copyediting and its Director of Training. Laura started her freelance business in 1997. She teaches for the University of California, San Diego, Extension Certificate in Copyediting program.